For better sound and steady image, bought this nice aluminium housing for my GoPro HERO4 Silver. 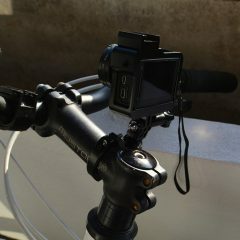 Also easy to mount on street MTB. Was worth that money.